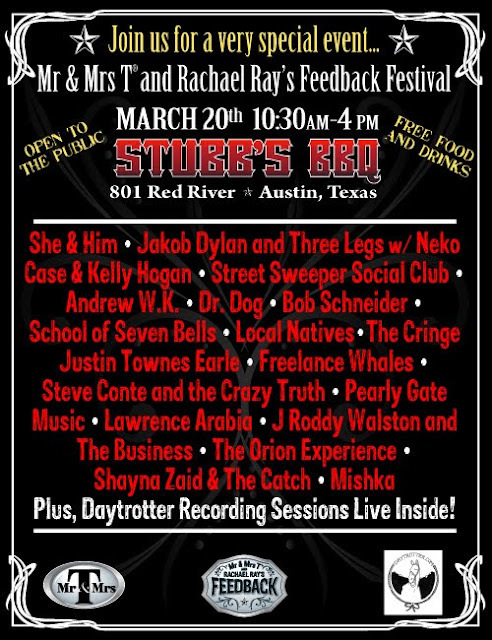 It looks like Rachael Ray's SXSW party will be a doozy. Check out the band list below, which I found over at Done Waiting. I wish I was closer, I would go. Just discovered your blog and am real happy I did. Thank you for providing a link in one of your previous posts to the Thai dish that I posted from Rachel's show. I will put your site on my blog role as I don't want to lose you. Have a great weekend.